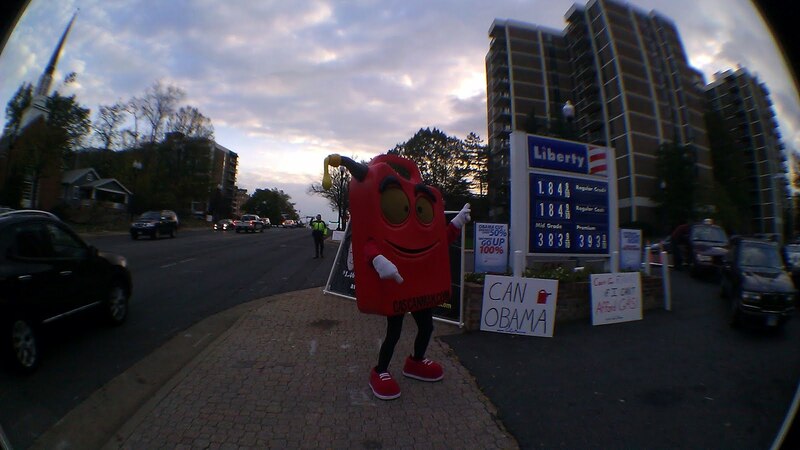 Newt Gingrich will appear at a New American Energy Opportunity Foundation “Gas Can Man” event taking place at the Pentagon Liberty Store at 2300 Columbia Pike tomorrow [Nov 2] from 7:00 AM to 9:00 AM. 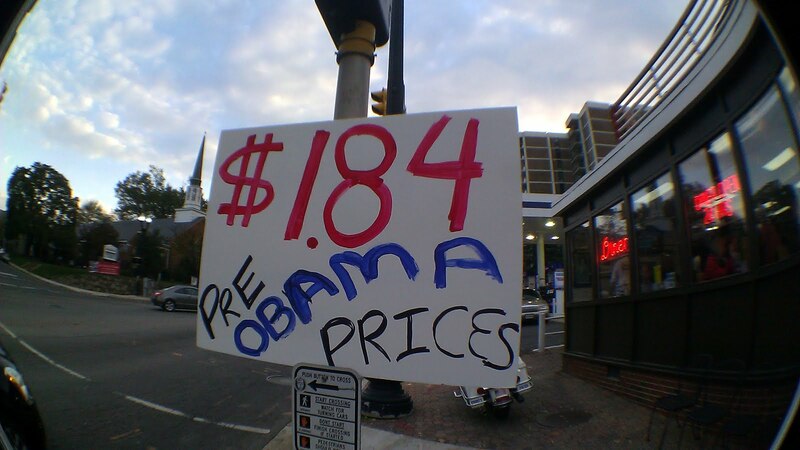 Drivers will be provided with $1.84 a gallon gasoline “to dramatically show voters what life was like before President Obama imposed onerous restrictions on domestic oil and gas exploration that resulted in soaring gas prices,” according to NAEOF spokesman Joe DeSantis. Cheap gas? Newt Gingrich? 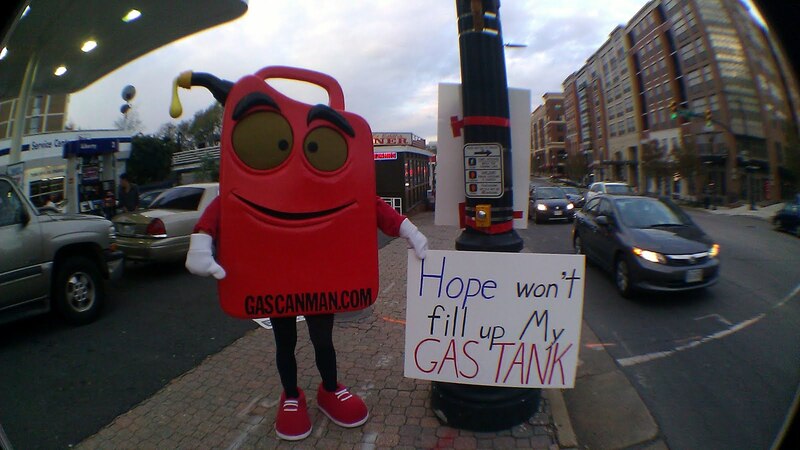 All down the street from me at the very station I last filled up. How could I not stop by? As political maneuvers go, I'm impressed at the originality of the idea. Why spend more money on TV commercials (that I skip with my DVR, thank you very much) when you can just make your point in a way I can really appreciate: cheap gas. The fact that they picked Arlington, a ridiculously pro Obama town (and just a few hundred feet away from the Obama reelection center) was either brilliantly inspired, or a serious miscalculation. Probably the former. Still, props for getting creative. Next time, though, it would be cool if we could do creative and truthful.